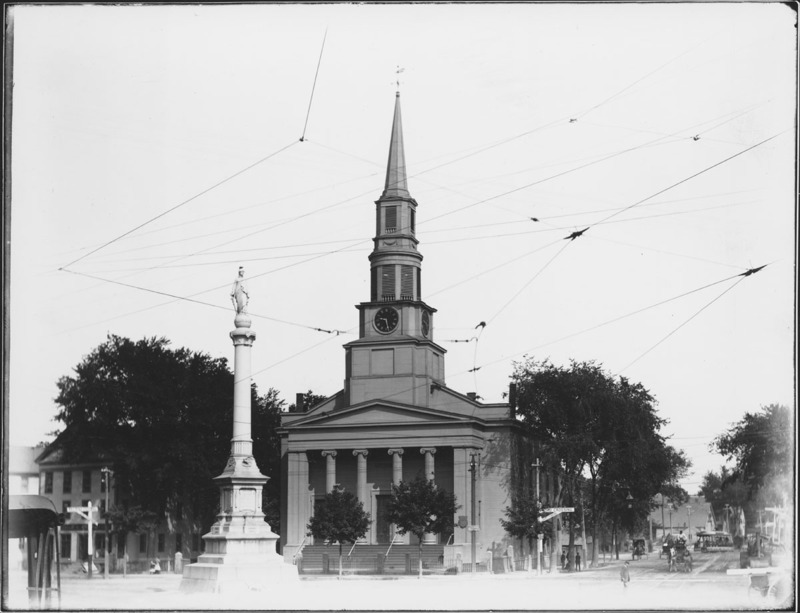 Peabody Center with Congregational Church at middle with Civil War Monument before it. Church burned down in 19--. Carriages and trolleys in picture, as well as crisscrossing telegraph wires. “Congregational Church,” Peabody Institute Library, Peabody, Mass., accessed April 18, 2019, https://digitalheritage.noblenet.org/peabody/items/show/190.